Can you come speak to my class? Can you present at a meeting of our entrepreneurship club? Do you know any interesting companies where I might intern? My start-up is already up-and-running. Do you know any investors I could talk to? Here is your cheat sheet, if you are asked any of the above questions by a college student or recent grad: the answer is "yes." 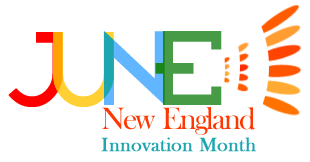 This week is the start of Innovation Month in New England. The thing I think we ought to work on, to make the region even more entrepreneurially fertile, is the bridge between college campuses and the innovation economy here. Before students depart after spending four, six, or more years getting educated in New England, let's make it clear that there are exciting high-growth companies to work for in this part of the world, as well as a support system to help spawn new start-ups. The way to do that is by committing to make the business world in New England much more permeable to students than it has been in the past, and help them cultivate their own ideas for new ventures. That means getting more executives and entrepreneurs onto campuses. Getting more students into your offices. Ensuring that every would-be entrepreneur has a chance to pitch their idea to several local investors. Plugging in to the various competitions, conferences, and club meetings that happen at schools from MIT to Babson to Dartmouth to Yale. And at the federal level, we need to be agitating for visa policy that lets the best and brightest stick around and join our workforce, or start companies, after graduation. I've written before that smart young people are the major renewable resource here in New England. And we're squandering it. With the wave of 2010 graduations just behind us, it's a good time to talk about what more we can do, before the 2010-2011 school year starts, to change the status quo.